Mooberry Dreams: Cakes, Cakes, and More Cakes! This has been the summer of cakes! 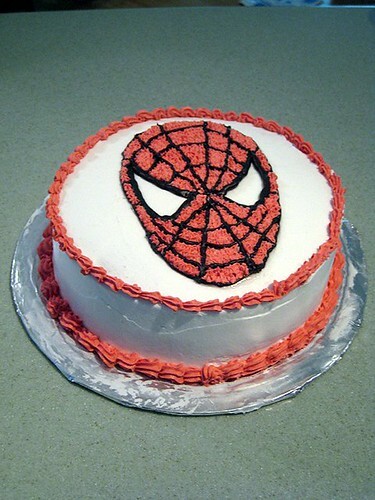 First, in May, I made a Spiderman cake for my sister's birthday. I had planned to use the frozen buttercream transfer method but ended up procrastinating so much that I just needed a faster way. So I just did the outline and fill with stars method. 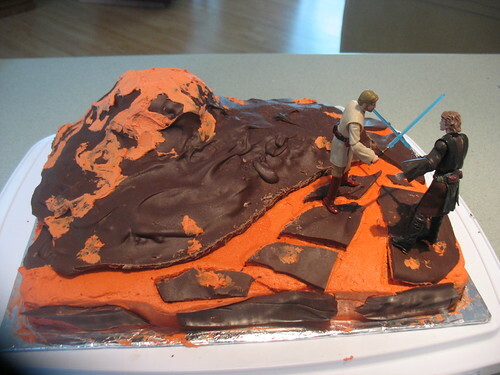 The volcano is created with a blob of rice crispy treat covered in melted chocolate. The last two parties were in July on back-to-back weekends (another mistake!). 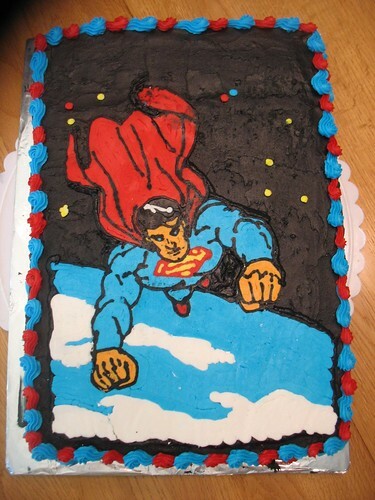 The first one was for family members and my son decided he wanted a Superman cake. This one was done with the frozen buttercream transfer method. The third and final party was for non-school friends. (He just had so many friends he wanted to invite that we had to split it into 2 parties!) Back to Star Wars, and also using the frozen buttercream transfer method. 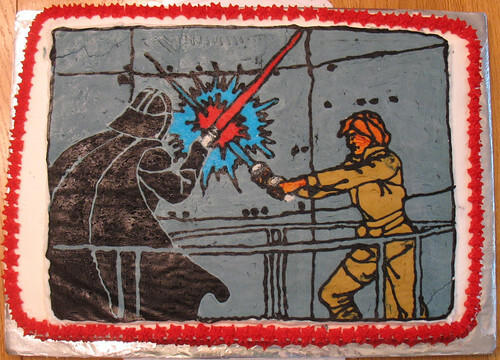 This time it's Luke and Darth Vader dueling. Although I enjoy the finished product, I have to admit that I'm happy that I'm done with cakes for the time being!